Perspective-What’s plaguing the medical profession? 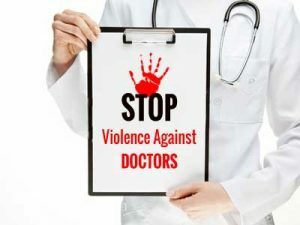 Nobody can deny that in recent times, there has been a steep rise in the number of cases of Assault on Doctors and as a result, strikes and agitations by junior doctors have become a perennial feature. If you see from doctors’ viewpoint they are only demanding protection for themselves – something which is their basic right. But what is the cause of increase in number of cases of Assault on Doctors lately? Lets step back to look at the larger picture and analyse root cause of the problem. In a large country like India with a mammoth population load of more than 130 crores, a precious little has been done in Healthcare sector by Government since Independence. The reason for this is that Health has never been on Agenda of any Political Party as there has never been a serious demand by electorate for health as a fundamental right. At least, not as serious a demand as has been for Poverty eradication, better housing and Infrastructure development. 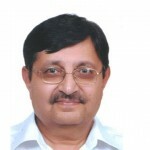 Moreover, Indians by nature have a fatalistic attitude and have never been demanding for up gradation of health services at least in the past, leading to more inertia at administrative level..
Time passed and successive governments never ever tried to put in any serious effort to increase quantum and quality of Health services to match the increasing health needs of people of country. There was no vision of the Government with respect to taking steps for increasing number of Medical and Para-Medical personnel or creating infrastructure in consonance with increasing health needs of country. As a result today, we have a shortage of 4 lac doctors and 2 lac nurses in country. India ranks one of lowest globally as far as patient bed ratio is concerned which at present is 0.9 beds per 1,000 population as against 5 beds per 1000 recommended by WHO. In addition to this there is acute dearth of Specialists and super specialists in the country. In a country where as little as 1% to 2% of GDP was allocated to Health Sector and most of which remained unspent by most of states over the years, the gap between demand and supply of healthcare facilities was bound to widen. In order to fill in the gap between demand and supply of medical services, in early nineties, private players stepped in and slowly Corporate Hospital culture made inroads in the system. Gradually 80% of healthcare delivery system was captured by Private sector for the simple reason that Government sector was not performing optimally to fulfill health needs and meet expectations of public at large. But the treatment rendered by Private sector was not free and patients were made to pay for the treatment as cost of infrastructure, equipment, taxation and running of Clinical Establishment was involved in setting up of a private unit. Patients who were affluent, who had health insurance or whose treatment expenses were being borne by their parent organizations started patronizing private hospitals. In private hospitals instances of assault are less in number and are confined only to sections where patient is more demanding, has a mindset that I am paying so I deserve the best , where there is increased expenditure beyond expectation or whenever there is sudden unexpected death of a patient due to reasons beyond control of the attending physicians. Moreover, presence of adequate security and strict enforcement of restricted entrance norms of visitors usually wards off any unruly incident especially to the extent of Assault in private hospitals. The patients belonging to other group for whom cost of treatment at private hospital was beyond reach had to go to Government sector hospitals for treatment though unwillingly. In a Government Hospital they had to encounter long queues, unhygienic conditions, lack of ICU beds, non availability of medicines and life saving equipment like Ventilators etc. In addition to this, there was a long waiting for investigations like CT scan and MRI and at times patient had to wait for getting treatment in medical emergencies also. The deficiency in service in Govt. hospitals was glaringly obvious to the patients especially in contrast with private sector hospitals. The high level of dissatisfaction, frustration and anger of patients arising out of this deficiency in services was exhibited in form of Assault on Doctors who unfortunately were present at first point of interaction may it be OPD, Casualty or Emergency Room. Lack of inadequate security at Govt. Hospital made doctors more vulnerable for such unpleasant occurrences. The fact that Doctors cannot be held responsible for failure of government in providing proper and efficient healthcare delivery system has to be reiterated and reemphasized .The relatives of patients should be made to realize this fact so that they should direct their anger towards Government for inadequate health service rather being offensive towards doctors. They should be made to understand that for a doctor all the patients are equally important and therefore they have to exercise restraint even in case of any inadvertent delay in deliverance of treatment due to overwork. It has also to be highlighted and brought to the notice of Government, Media and public at large that working conditions of junior doctors in the government hospitals are deplorable and need drastic improvement. Usually Junior Doctors are made to do a lot of menial jobs of carrying blood samples from the ward to the laboratory; or collecting reports from laboratory and x-ray department instead of engaging themselves in patient care. They are subjected to dismal living conditions with Non AC living rooms, dirty linen, unclean washrooms and substandard Canteen/Mess facilities, long working hours and sleep deprivation. All this needs to be relooked into and upgraded with rationalization of working hours for increasing productivity of doctors and enhancing quality of health care being rendered by them. This will eventually lead to a better Patient Doctor Relationship and prevention of such undesirable incidents. At times, lack of proper communication leads to misunderstanding, argument and aggressive behaviour by relatives. Therefore it is desirable on part of doctors that they should have effective communication with the relatives of patient about treatment, its rationale and prognosis of the patient for improving their confidence. They have to give up attitude of doctors know the best and keep relatives of patients informed about progress of case from time to time. A little conscious effort on the part of attending doctors may go a long way in averting these unsavory incidents of Assault. The government has to step in immediately to legislate laws deterrent to assault on doctors on duty and enforce them promptly and strictly. The working conditions of junior doctors including their security should be improved. The government has to take stock of situation and consciously improve healthcare delivery system and evolve some system of health insurance for economically backward sections of society. On the part of doctors, they have to inculcate better communication skills in order to prevent unwanted & unruly situation of Assault on Doctors. We know that Doctor Patient relationship has got eroded over period of time due to changing values in society, treatment of Health as industry by Government and inclusion of Medical Profession under Consumer protection Act and the same can only be restored in future by display of trust and respect by patients and exhibition of compassion and empathy by Doctors. 3 comment(s) on Perspective-What’s plaguing the medical profession? Yes the blog is amazing. There is blog dedicated to such issues . I dont remember its name but I think you can google it by extinctdoctorgood. Something like that.